Do you want to up your marketing game? This year, send branded holiday eCards to your clients! It can be tough to stand out from all the noise during the holiday season. Every business has a sale or special they’re promoting. With holiday business cards, your business can stand out in a positive way. Customers will be delighted to open a heartfelt message from your company rather than another promotional email during the Black Friday chaos. But Christmas cards, whether you’re sending them for business or family purposes, can be a daunting task. Especially when you have client relationships on the line, you don’t want your card to come off the wrong way. Don’t worry – with this guide, you’ll learn the proper do’s and don’ts of sending holiday business cards. Keep reading to make your holiday marketing efforts simple and heartfelt. Why Send Holiday Business Cards? The end of the year is often a hectic time for businesses. With deadlines to meet and budget needs, it’s easy to push holiday cards off to the side to be forgotten about. They just don’t seem as high of a priority. Thank loyal clients for their business. Use a warm holiday greeting to show appreciation for your customers. Solidify business relationships. Send holiday business cards to partners and investors to show that you value their partnership. Stay in front of old clients. A holiday card is a great way to remind old clients that you’re still there for them. Use this opportunity to let them know about changes in the company and what you’re getting involved in after the new year. Attract new customers. Send a holiday card to a list of prospects to let them know you’re thinking about them. Your card may serve as a friendly reminder of what you can offer them. Brand your business. With a quality e-card service, you can add your business logo to your holiday cards. Holiday business cards have so many benefits that you can’t afford to not send them. But it’s important that you get them right. 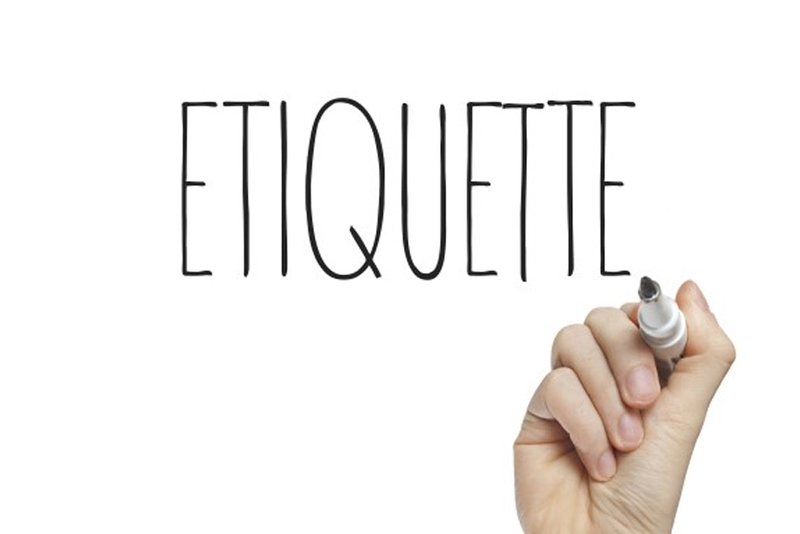 Keep reading to learn proper etiquette for sending holiday business cards. It’s easy to get distracted when the busy holiday season comes up. Holiday business cards are a chance to get in front of your clients. You don’t want the quality of your cards to suffer as a result of the busy season. Here are a few tips for sending out holiday cards in a professional manner. Think about your holiday cards early in the season so you can send them out on time. Waiting until the last minute makes the process more stressful. You may even leave out an important contact as a result. You want your clients to receive their cards in time to enjoy them before the holidays. Send your Christmas cards right after Thanksgiving and by the first week of December. If you’re late to the game, use a “Happy New Year” or “Happy Holiday” message. If you’re going to spend the time and money sending out holiday business cards, invest in a card with good quality. A quality card shows your clients, colleagues, and employees that you value them. The quality of your card should resemble the quality of the product or service you provide. By skimping with a low-quality holiday card, you may make a bad impression on your clients. They may even see it as a sign that your business has not been doing well and you couldn’t afford high-quality holiday cards. Show your clients they are worth the investment. Be careful not to offend anyone with your holiday business cards. You never know what your clients’ religious beliefs or holiday traditions might be. It’s best not to assume that they share the same traditions as you. To avoid offending anyone, choose a tasteful business card design that is secular. Use a generic message, like “Happy Holidays,” so as not to assume that they celebrate Christmas. In addition to your company’s branding on the card, include a few sentences to personalize the message. Depending on the relationship, you may want to offer thanks for their business, give a heartfelt holiday message or wish for the holiday season. Without a personal message, your recipient may get a cold feeling from the card. Make sure they know it is a meaningful effort rather than a promotional one. Take efforts to make sure you’re using correct names and addresses for your holiday business cards. Any time you make a new contact or receive new contact information throughout the year, add the data to your holiday list. Keeping up with your list throughout the year can make it less daunting come holiday season. Double-check the spelling of your contacts’ names. Spelling a person’s name wrong will leave a negative impression. Be sure to send the holiday e-card to the person’s business email account versus their personal email address. When addressing your clients and staff in the message on you business holiday cards, its important to choose how to address your contacts. In most cases we suggest addressing people using their first name only – e.g. ‘Dear Susan’. In other cases where the industry you work in is more formal (depending upon your business and clients) you may wish to use ‘Mr. John Smith’. While sending out cards to the partners you work with, don’t forget your client’s assistant who coordinates all of your meetings. This simple thought can go a long way in your business relationship. Sending holiday cards to your clients, customers, and colleagues is a great way to make a positive impression that may result in more business. Remember to use quality cards and send them out on time so your recipients can enjoy them. With a personal message, your holiday cards will be a hit. Ready to design the perfect holiday business card? Check out our custom e-cards today!